Slowly roll the targeted area until the most tender spot is found. Hold on that spot while relaxing the targeted area and discomfort is reduce, between 30 seconds and 90 seconds (1,7). During the exercises, it is important to maintain core stability. Use the drawing-in maneuver (pulling the navel in toward the spine) to maintain stability in the lumbopelvic-hip complex (1). Take the time to experience the exercises and discover how slightly modifying positions or angles can target different areas of the muscle. 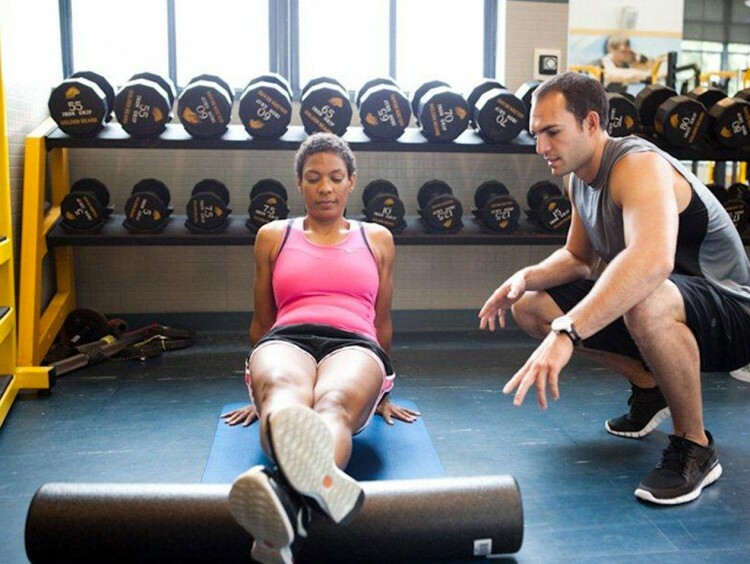 Sit on top of the foam roller, positioned on the back of the hip, crossing one foot over the opposite knee. Lean into the hip of the crossed leg. Slowly roll on the posterior hip area to find the tender spot. Hold for 30-90 seconds until the discomfort is reduced. Repeat on the other side. Lie on one side with the arm closest to the ground outstretched with thumb facing upwards. Place the foam roller under the arm in the axillary region. Slowly roll back and forth to find the tender spot. Hold for 30-90 seconds until the discomfort is reduced. Repeat on the other side.